Home Health Care Policies- Today, the U.S. District Court for the District of Columbia struck down proposed overtime protection rules for home care employees in a final ruling. The overtime protections were highly opposed by home care agency interest groups such as the National Association for Home Care & Hospice (NAHC). The original bill was granted a temporary stay on Dec. 22nd, which caused both celebration and grief from those on different sides of the issue. The bill would have provided overtime pay for those who provide live-in “companionship” services. However, many organizations such as NAHC claimed that the overtime protections would put care agencies out of business and lead to an overall lower quality of care, despite the reported slowdown in Medicare spending over the past couple years. This is the third victory in this lawsuit for home care interests within the last month. On December 22, the court ruled that patients are entitled to equal rights regardless of whether they or their families paid their home care bills or they were paid by the joint, federal-state health insurance program, known as Medicaid. On December 31, the court ruled for NAHC by agreeing to issue a Temporary Restraining Order (TRO) blocking the DOL from enforcing new rules related to “companionship” and “live-in” care. On January 9, the court, in considering a motion from NAHC attorneys for an injunction to block enforcement of residual parts of these rules through this date or a trial, stated that so much evidence was in the record there would be no need for a trial. The judge therefore agreed to give his decision on the case on or by January 14, when the TRO was set to expire. 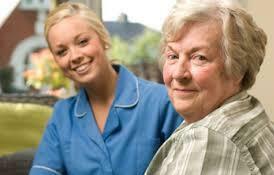 Today, the judge ruled for NAHC and home care interests, saying the proposed new DOL rules violated the law." NAHC claims caretakers are celebrating this decision as well, however, the opposition to blockage of the bill seems to indicate otherwise. Employee protections agencies such as Paraprofessional Healthcare Institute (PHI) hold opposing opinions and have been a major proponent of the wage protections bill.